Sometimes things stop you in your tracks and this was one entry in the Geelong & District database that did just that! There I was quietly indexing the four issues of Investigator from 2013 [the journal of the Geelong Historical Society]. One of my favourite regular articles in Investigator is the Chronology from the Geelong Advertiser 100 years earlier. Madame Frokjar, expert in the destruction of superfluous hairs, is to be in Geelong on Saturday 8th June, when she may be consulted free at the Town and Country Club in Ryrie-street. Madame FROKJAR, Medical Masseuse (Diploma College of Copenhagen, pupil of Dr Claud Hansen, masseuse to the Danish Royal Family), Method of Royal Gymnastic Central Institution, Stockholm. Madame Frokjar was born in Zulland, Denmark, in 1862, and came out to Victoria possessed of independent means, but vicissitudes overtaking her, she resolved to embark in an enterprise such as would afford a living for herself and children. With this laudable object in view, Madame visited Copenhagen in the year 1896, and there diligently applied herself to study, and distinguished herself by passing successfully all the necessary examinations in connection with her profession, and gaining her diploma. Madame then spent some time at the Garrison Hospital, Copenhagen, under the well-known and celebrated Dr Claud Hansen, and when fully qualified returned to Victoria in 1901, and commenced practice in Melbourne. Here her connection very rapidly expanded, and it soon became necessary to acquire more commodious premises in order to carry out the treatment of her numerous patients, recommended to her by the leading members of the medical profession throughout the State, whose confidence and good opinion Madame has gained. The present premises in Scourfield Chambers, Collins Street, opposite Messrs. George and George’s, have been fitted up on the most resplendent lines, and combine beauty, comfort, and relief in their arrangement. Madame is assisted by a well-trained and capable assistant, and her establishment is recognised as the leading one of its kind in the city. A preliminary meeting of medical practitioners has been held in Melbourne for the purpose of forming an association of masseurs and masseuses. Dr J W Springthorne presided. After letters from medical men throughout the Commonwealth expressing sympathy with the movement had been read it was unanimously decided to form an association, to be the recognised association of the profession throughout the Commonwealth. The objects are to establish a system of registration of acknowledged medical masseurs and masseuses; to establish a uniform system of training and examination – to be of such standard as may be decided on by the medical profession and the executive of the association, and to promote the interests of the massage profession in all matters appertaining to its work. The following provisional committee to frame a constitution was appointed:- Chairman, Dr Springthorpe, and Drs MacGillicuddy and MacGibbon, Messrs. Grundt, Best, Pascal, Peters, Robertson, Doyle, Kyte and Moody, Mesdames Frokjar, Hacke, and Vahland, with Misses McCauley, Robertson, Meares, and Martyn, together with the following interstate representatives:- Messrs Schuch (New South Wales), A Semmens and Hugo Leschen (South Australia), Alexander Peters (Western Australia), and Peterson (Tasmania). Mr Best, of the Alfred Hospital, was elected treasurer pro tem., and Mr Teepoo Hall (Melbourne Hospital) secretary. 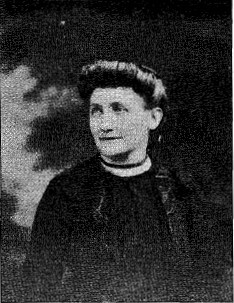 Anna Marie SKRIVER was born in 1862 and married Andra FROKJAR in Denmark in 1891. They arrived in Melbourne in 1892 when their first son Henry Andrew was born with a second son born in early 1895. In September 1894 her husband was admitted to the Yarra Bend Asylum and remained in mental asylums until his death in 1932. Between 1912 and 1922, Anna Marie travelled to Western Australia, New Zealand, USA and England. As a “foreigner” she was identified as an Alien passenger during her travels. Her son, Henry Andrew adopted the anglicised name of FAULKNER prior to qualifying as a Veterinary Surgeon in Melbourne in 1913. He died in Surrey, England in 1990. To-date the death place or date for Anna Marie has not been found. I certainly didn’t expect to find the above when I started on this journey of researching the lady who removed superfluous hair! Previous Shelford School No. 379 and lots more! Next Yeah! We’ve got more Addies!